Hi! My name is Spunky! 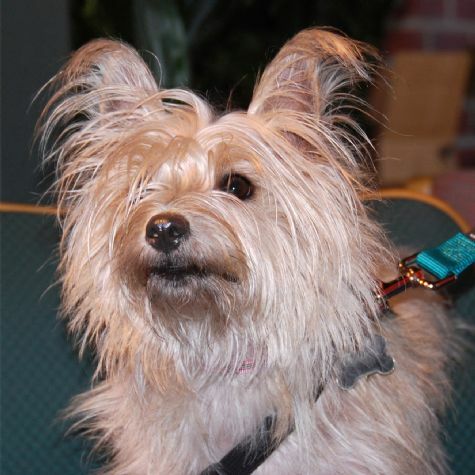 I�m a Cairn Terrier --- the same breed as Toto from the Wizard of Oz, but I�m a different color. I was born in Arizona, moved to Atlanta, and now I live in Redondo Beach. My owner heard about Love on 4 Paws from another volunteer, and I�m so proud to be a member of such a great group of dogs. When I visit the patients at the hospital, I love to get hugs and have my belly rubbed. I also enjoy playing with my ball, going to the dog park, and exploring California.